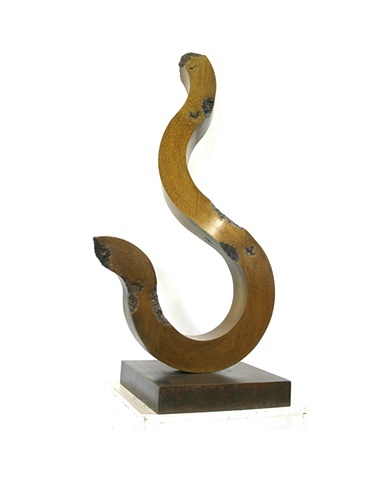 Delos Van Earl Studios - "Ivanhoe"
42" X 22" X 20"
Golden brown patina on bronze pedestal sculpture, with bronze base. The piece is fabricated, not cast, and is unique. 1 of 1.